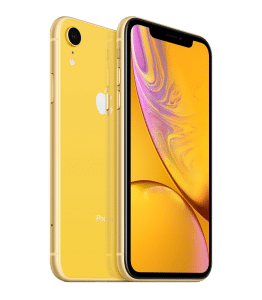 A cheaper model which still has all the best features, the iPhone XR has a 6.1 liquid retina LCD display and is one of the top phones on the market. With a super fast A12 bionic chip, the iPhone XR has a beautiful glass back and a great HDR feature to offer you crystal clear photo taking. Boasting 16 hours of video playback, easy-to-use face recognition and a huge storage option of 512GB, the iPhone XR which has a 1792 x 828 pixel screen has features you will love. Get the iPhone XR with NO Credit Check NOW!